They're just as bad as we are, only worse. The prison at Guantanamo Bay was designed to interrogate terrorists and jihadists swept up from the battlefield: the idea was to keep them as prisoners of war in a war that was undeclared, and as enemy combatants without uniforms or officers. It had a no-win mandate, and will probably close soon due to international outcries about its supposed barbarity. Yet, for all the fury about its existence, not a single detainee has died there in over four years of operation. #ad#In contrast, the European Milosevic just dropped dead while under custody of the U.N. at the postmodern tribunal at The Hague. This follows the recent suicide of Croatian Serb leader Milan Babic, likewise an inmate in a European detention center. Few in Europe said much about the deaths of such high-profile prisoners, whose barbarity differed from that of many of the killers in Guantanamo mostly in order of magnitude. If American Rambos can keep alive Muslim jihadists, with their radically different customs, religion, languages, and diets, why cannot the more sensitive Europeans ensure that fellow Europeans don’t drop dead in their jails? We often hear about how incompetent the Iraqis, under American tutelage, have been in trying Saddam Hussein. After all, his trial is only in its initial stages, two years after he was captured. But compared to the more illustrious court of The Hague, Saddam’s trial is racing along at a rapid clip. Before his sudden death, Milosevic had been in court for four years without a verdict. In terms of utopian international jurisprudence, the reprobate Milosevic died a free man, at his last breath still innocent until proven guilty. The public wonders why the incompetent Americans can’t catch Osama bin Laden, or at least Abu Musab al-Zarqawi. Few note that it has been over six years since the collapse of the Serbian rogue regime, and still no one seems to know where either Radovan Karadzic, or his military commander, Ratko Mladic, is hiding inside Europe–not exactly the Sunni Triangle or the borderlands of the Hindu Kush. Might a circumspect European ever acknowledge to us, “We know how hard it is to catch a Zarqawi since we can’t get Karadzic or Mladic,” or “It’s tough trying war criminals like Saddam–look at our dilemma with Milosevic”? If a French bestseller insisted that 9/11 was staged by the U.S., will the next conspiracy thriller allege that Milosevic was poisoned by a European cabal fearful that the killer of Muslims might beat the rap at The Hague and cause a backlash from radical Islam? Europe cringed at George Bush’s use of cowboyisms, like “smoke ‘em out” and “dead-or-alive”–hardly the parlance of sober and sophisticated statesmen, who should hint at, rather than brag of, their substantial military power. But once again, contrast Bush’s words with Jacques Chirac’s recent boastful threat that France would consider a nuclear response to any country sponsoring a terror attack against it. Had Bush said anything close to that, the Europeans would be trying to indict him in Brussels for war thought-crimes. These contrasts in perception and reality between Europe and the United States could be expanded–whether we look at the maligned Patriot Act and the new anti-terrorism legislation being enacted across the Atlantic, or the manner in which Arab immigrants live in Dearborn versus Marseilles, or the infringements abroad on free speech. The more interesting task is not listing such hypocrisies, but explaining them. Some of the exegeses are now well known since September 11: Europe is weak and America far stronger, so the latter is held to a higher standard, as the former suffers from loud envy and public resentment. The powerful don’t care as much to dress up their omnipotence with utopian affectations; the weaker, in lieu of military strength, have only such pretensions. And note how America’s forging of closer ties with Japan, Australia, and India somehow does not meet European requisites of “multilateralism”–a neologism for deference to Europe. There is also a more disturbing element at play. Europe triangulates with the non-West against the United States, both to corral American influence and to seek economic advantage by offering a more sensitive Western commercial alternative. That means, in the case of the Middle East, a desire to reveal European empathy to the Islamic world. So there is a blanket condemnation of much of what the United States does, without any acknowledgement that detaining killers, trying former heads of state, and hunting down populist terrorists are not easy–even for the European Union. When Westerners die in Afghanistan, it is back-page news; but in Iraq, the deaths make the front page. Why? Because the “bad” war in Iraq was supposedly “unilateral,” while the “good” war to dethrone the Taliban is now a multilateral enterprise. Yet to the jihadists, there is little difference between the two: a German soldier in Kabul looks every bit the crusader that the American in the Sunni Triangle does. We in the West make the distinction between the wars; the radical Islamists don’t. Are there consequences to this double standard? For a growing number of Americans, who were nursed on affection for things European, there grows now a weariness with the Europeans. We don’t listen much to what they say; and we assume that their pot will always call our kettle black. Now things are starting to come to a crisis, and the Europeans are learning belatedly–after the French riots, the bombings in Madrid and London, the murders in the Netherlands, and the craziness over the Danish cartoons–that their appeasement failed and the radical Islamists hate them even more than they hate us. China and Russia are no help with Iran. They value Iranian oil more than European friendship, and assume that Persian terrorists and nukes will always point west rather than eastward. Hamas shows no gratitude for huge past European grants to the Palestinians–only resentment that the checks are late for such newly elected terrorists. As is always the way of the pack, there is a tired conventional wisdom circulating among pundits that the days of American activism are over, and a new, more realistic and multilateral approach–read Euro-like–must correct the neoconservative excesses of the past. But I wonder: Are we going to look to the European practice of trying war criminals? Should Saddam be transferred to Milosevic’s now empty cell? Is the model coalition in Afghanistan all that much more loved or effective than the one in Iraq? Should we shut down Guantanamo and outsource its inmates to The Hague? Have the European police done so much better in hunting down a Mladic or Karadzic than our soldiers have in their more muscular hunt for Osama? And will the United Nations, the EU3, the Russians, and the Chinese, in multilateral fashion, really stop the Iranian nuclear program–or simply stall meaningful action until they can collectively shrug, and sigh, “Oh, well, just another Pakistan, after all”? 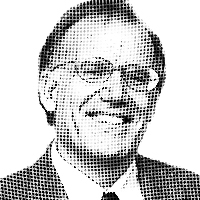 –Victor Davis Hanson is a senior fellow at the Hoover Institution. He is the author, most recently, of A War Like No Other. How the Athenians and Spartans Fought the Peloponnesian War.